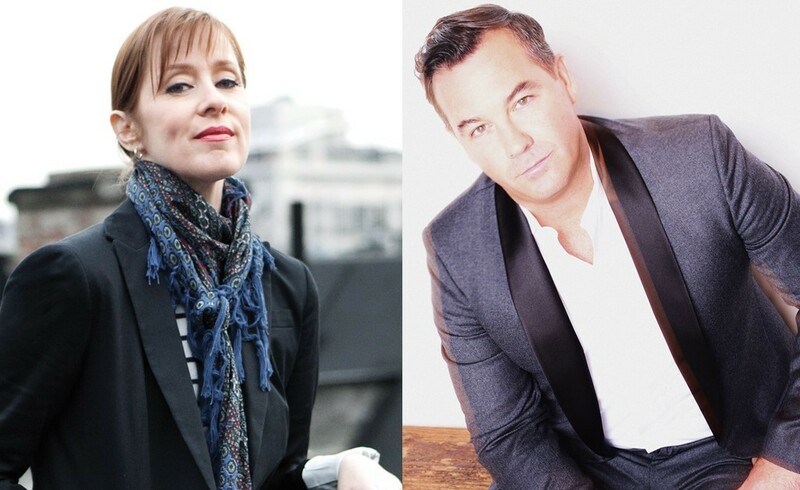 The Sands Point Preserve Conservancy welcomes Suzanne Vega and Duncan Sheik, in concert together, on the Great Lawn overlooking the Long Island Sound. Concert starts at 5 PM, so bring a picnic dinner and blanket – and prepare for a musically magnificent sunset event. General Admission Tickets: $45 per adult, in advance, includes parking. Tickets are $55 per adult on day of concert. 17 & Under: $20 per child. VIP Tickets: $125 per person, includes priority viewing location, pre-concert cocktail reception (4 – 5 PM) and a post-concert reception inside historic Hempstead House with light fare & bar. Tickets can also be purchased at 516.304.5076 to avoid handling fees. Rain or Shine! If heavy rain, we’ll move inside Castle Gould’s Black Box – a 7,000 square foot NY State Certified sound stage. The VIP events will still take place inside Hempstead House. Widely regarded as one of the most brilliant songwriters of her generation, Suzanne Vega emerged as a leading figure of the folk-music revival of the early 1980’s when, accompanying herself on acoustic guitar, she sang contemporary folk songs of her own creation in Greenwich Village clubs. Since the release of her self-titled, critically acclaimed 1985 debut album, she has performed sell-out concerts in many of the world’s best-known venues. With the release in 1987 of Solitude Standing, her second album, including the hit singles “Luka” and “Tom’s Diner,” Vega vaulted to a position of prominence in the world of popular music. Vega has released eight studio albums to date including Days of Open Hand, 99.9F, Nine Objects of Desire, Songs in Red and Gray, Beauty & Crime and Tales from the Realm of the Queen of Pentacles. Her new album Lover, Beloved: Songs from an Evening with Carson McCullers is coming October 14. After breaking through in the late ‘90s with his Top 20 Single “Barely Breathing,” Duncan Sheik spent much of the subsequent decade taking a breath from the usual rock singer/songwriter rituals. His focus was on albums that broke with pop music conventions and, additionally, theatrical musicals like Spring Awakening, the Broadway sensation that won him two Tony Awards and a Grammy. Sheik has gone on to release seven studio albums. He has also composed original music for seven musicals including Twelfth Night, Whisper House and The Nightingale. In 2015, Sheik released an all new album entitled Legerdemain as well as wrote the music and lyrics for the show American Psycho: The Musical, which debuted at the Almeida Theatre in London staring Matt Smith of “Doctor Who” fame and opened on Broadway in 2016. Vega and Sheik previously toured together, including co-heading a run of sold-out shows at NYC’s Highline Ballroom in 2012, performing from their respective collections of hits, as well as songs they collaborated on together for Vega’s acclaimed 2011 Off Broadway musical debut Carson McCullers Talks About Love. The Conservancy thanks our Education Partner: Tilles Center for the Performing Arts and Marketing Partner: Landmark on Main Street! By Car: Take the Long Island Expressway to exit 36 (Searingtown Road/Port Washington). Take Searingtown Road north; it will change into Port Washington Boulevard and then into Middle Neck Road. The Preserve will be on the right. By Train: Take the Port Washington line to the last stop (40 minutes); take a 5-minute taxi ride to the Preserve.